In the summertime your outdoor entertaining area becomes the heart of your home. You’ll often find yourself out there on balmy afternoons soaking up what is left of the suns rays and sharing a meal. More often than not you’ll enjoy good food, and good company in this space so it is important that you take the time to really build a space that is made for those things. You have seen houses maximise their outdoor entertaining in many different ways but working out what will be best for you is a whole other issue entirely, but regardless it’s time to give your outdoor entertaining some love. You love the breeze that comes through your entertaining area and take delight in a summer breeze. Your entertaining area is situated on the side of your house that doesn’t get direct afternoon sunlight so you’re not worried about the heat or about sun damage to your outdoor setting over time. The open air option could be for you. Choosing an option like this for your outdoor space is risky though if a bit of rain would leave you cramped inside, however a hybrid could be the ideal option to give you that breezy, sun drenched feel with a contingency plan. This is a budget friendly alternatively for adequate sun production. 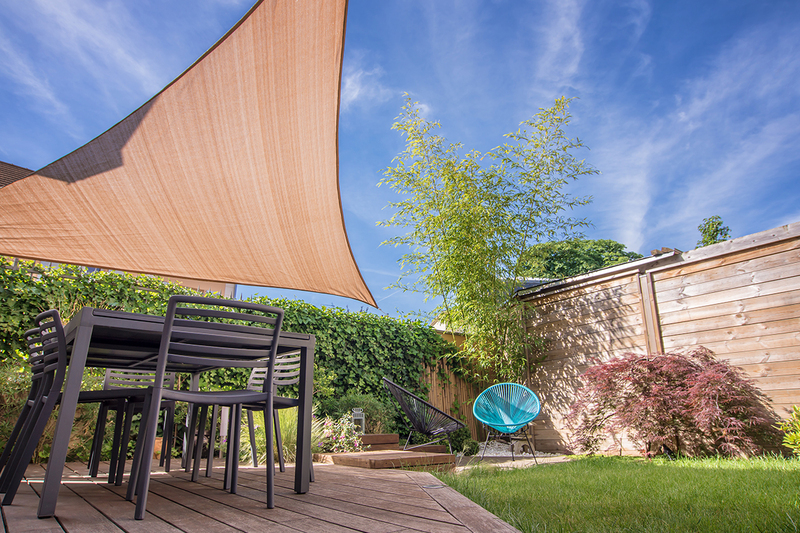 If your outdoor area is baring the full brunt of the afternoon sunshine you can pick up a shaded option from your local hardware to accommodate. Normally weather resistant but do your research to pick up a style that is water proof if that is a requirement for you, they come in a large array of colours and even shape and assembly options to suit your requirements. They’re also a great temporary option if you have something in your sights that is just out of budget for the time being. 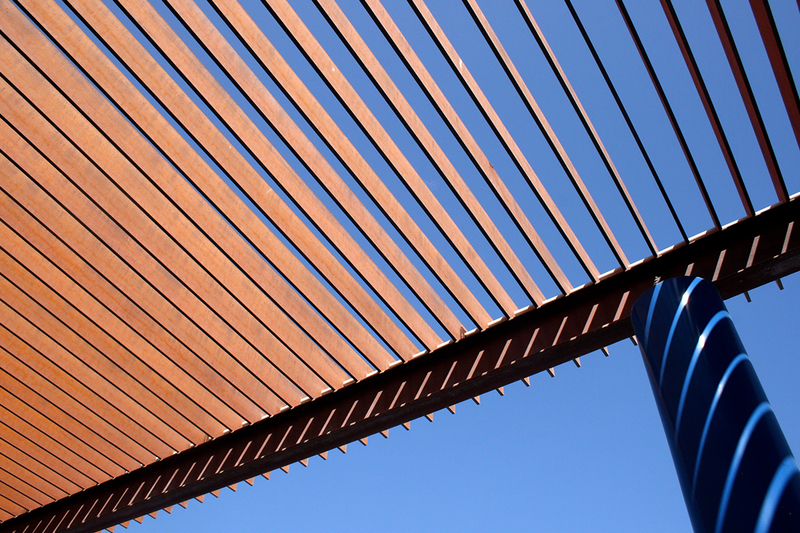 Whether a flat or gable, this will give you an outdoor area that is completely protected from the elements. The design options are limitless when it comes to a structure of this nature and you will likely only be bound by your budget. They can be lined with timber ceilings to allow you to add accessories like fans and heating. Using this method truly extends the space of your home, merging the outdoors with the indoors. If your outdoor entertaining area backs onto your internal kitchen or living space you effectively double the space you have to work with. 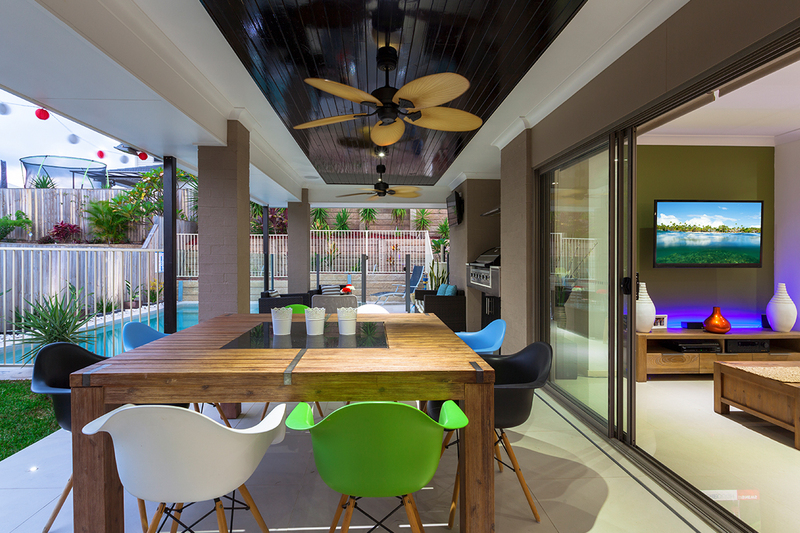 When planning your outdoor entertaining space you should also consider features like screens or breeze blocks, if you have an existing structure, to increase air flow and contain the space. These can be aesthetically beautiful additions while minimising sound and ensuring privacy.